Dr. Carol Henry and her graduate students, Getahun Lombamo and Hiwot Haileslassie, were profiled in the Star Phoenix Young Innovators series on Tuesday, December 29. 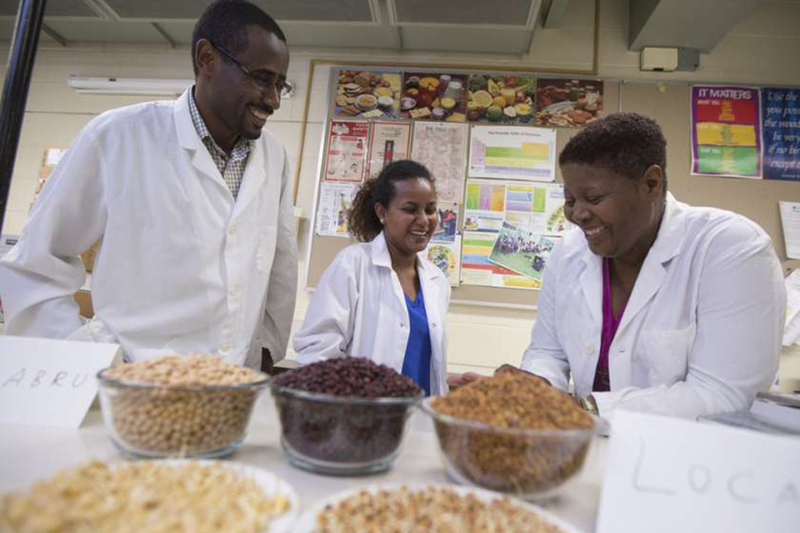 "Lombamo examined how eating pulses can benefit community health. His research involved 600 mothers and children under age five, comparing pulse-growing communities to those cultivating mainly cereals. Haileslassie is developing recipes and cooking techniques that enhance the nutritional benefits of pulses without sacrificing taste. She has found that food processing strategies such as soaking and germination are the best way to maximize the nutrition of dishes."